The extraordinary cloud forests of the Andes occur because humidity moving west from the Amazon rainforests cools and condenses into water as it rises up the mountain slopes. Cloud forests extend from about 2,000 feet in elevation up to about 12,000 feet. Straddling the equator, the Andean cloud forests of Colombia, Ecuador and Peru are the most diverse, fragile and complex cloud forests on earth. Many conservationists consider them the world’s greatest conservation priority. Water vapor from the Amazon hits the Andes. It rises and cools, causing clouds that perpetually envelope the mountains. 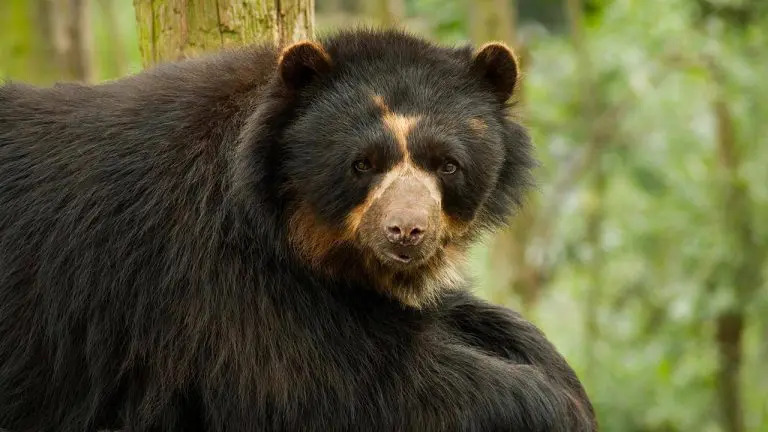 ABOVE: An Andean bear, sometimes called the spectacled bear, is primarily found in the cloud forests. 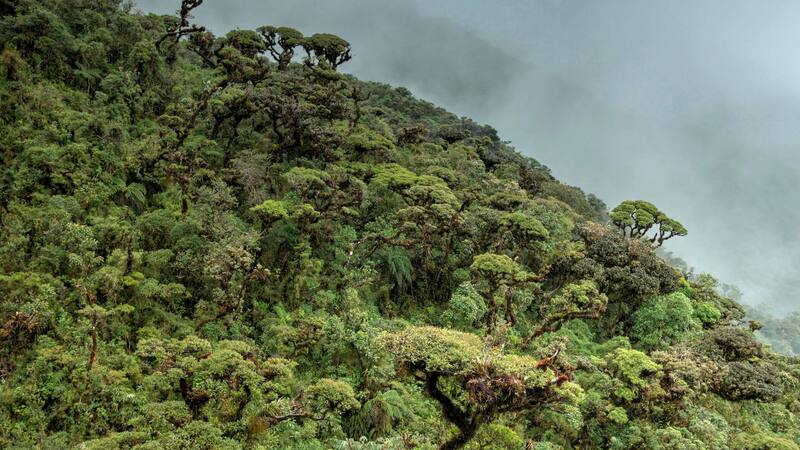 Andean cloud forests are critical to protect because of their incredible biodiversity and because their steep slopes and fragile soils make them highly susceptible to erosion and degradation. In the past, their remoteness kept these beautiful forests inaccessible, protecting them from human encroachment. Today, however, with modern techniques and equipment, these cloud forests are increasingly threatened as people cut roads within the forests and clear large areas for short-term gains in agriculture or timber. Colombia, for example, is one of the countries with the largest area of cloud forests, yet only 10–20% of the initial cloud forest cover remains. Significant areas have been logged or converted to industrial-scale plantations. ABOVE: The marvellous spatuletail hummingbird in the state of Amazonas in Peru. Unique among birds, this hummer has only four tail feathers. The male’s most extraordinary feature is the two long racquet-shaped outer tail feathers that cross and end in large violet-blue discs or “spatules”. More than 300 species of birds are found in the cloud forests of Peru, of which 23 are threatened, including the royal sunangel hummingbird, the ochre-fronted antpitta, the marvellous spatuletail, and the rare long-whiskered owlet. The forests also harbor the endangered yellow-tailed wooly monkey and five frog species. Andean cloud forests are a top priority for biodiversity conservation because they are home to a remarkable number of endemic species that are found nowhere else on the planet. In Peru, more than one-third of the 270 endemic birds, mammals, and frogs are found in cloud forests. The cloud forests are home to the greatest number of the world’s orchids. 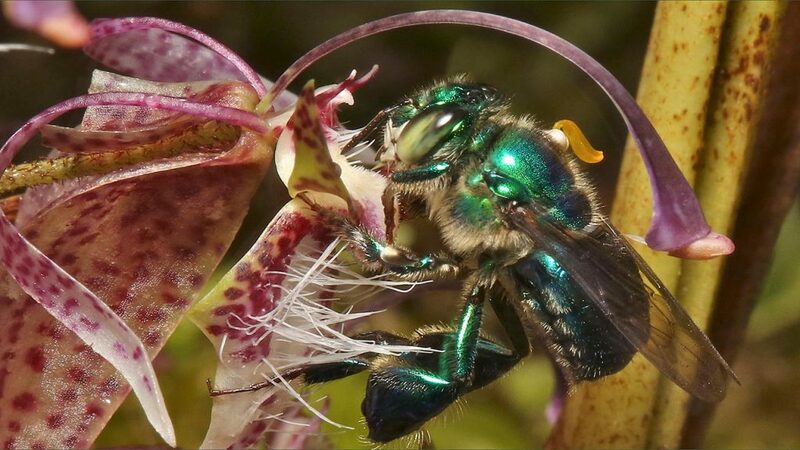 ABOVE: An orchid has attached a pollen packet to a male euglossine bee pursuing some floral fragrance. Male euglossines are the only animals (other than humans) known to collect fragrances, store them in those large saddlebags on their legs, and offer them later to females during courtship. Environmental conditions change rapidly with elevation in the cloud forests. Consequently, plant diversity in the cloud forests exceeds that of the Amazon rainforests. For example, the cloud forests are home to the greatest number of the world’s orchids. Ecuador alone has over 4,000 species with 1,300 endemics found nowhere else. The vast majority of those orchid species are found in the cloud forests. 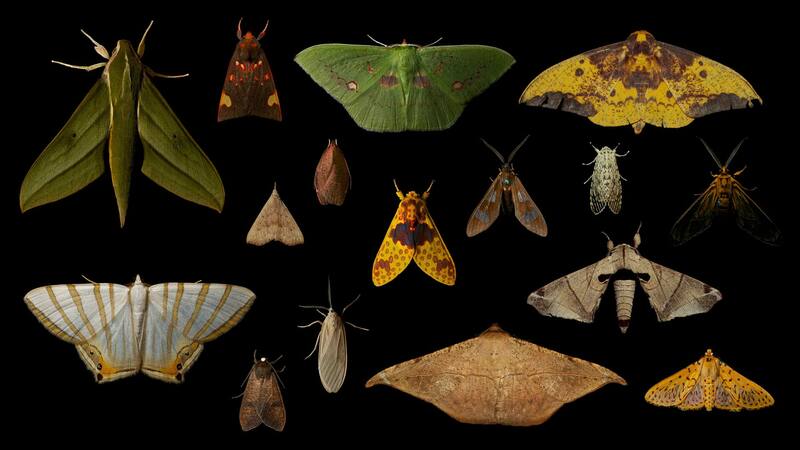 ABOVE: Live moths photographed in a single night in the cloud forests of Amazonas state in Peru. Notice that some have evolved to look like rotting leaves on the forest floor, while another has come up with transparent wings. A primary forest is one that has never been cut down for its timber or to make way for agriculture. Spending time in a primary forest shows us what has been lost and what we don’t realize has been lost—extraordinary insect diversity. This is doubly true in the cloud forests where every observant step reveals yet another miniature world composed with perfection, and home to one drama after another as creatures compete to survive. This drama is, of course, the evolutionary driver of all beauty, complexity, and diversity in the living world. 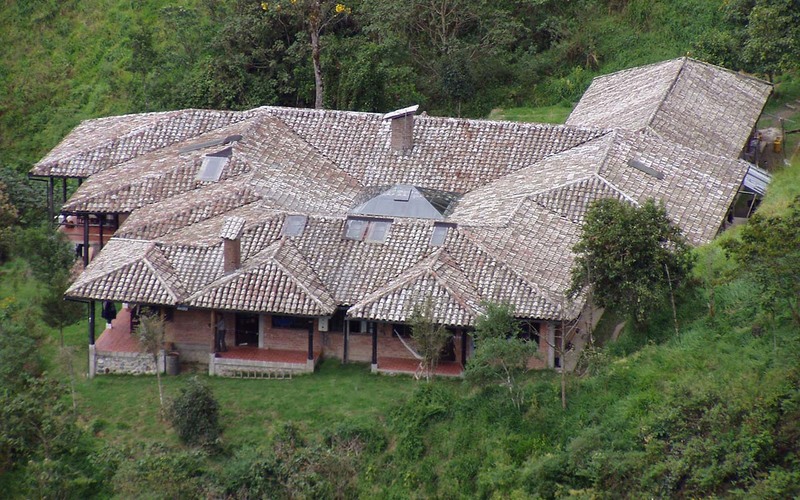 ABOVE: Nature & Culture’s San Francisco research station is the largest cloud forest facility in the world, performing $40 million in research annually.